Email is the primary mode of communication in today’s world. 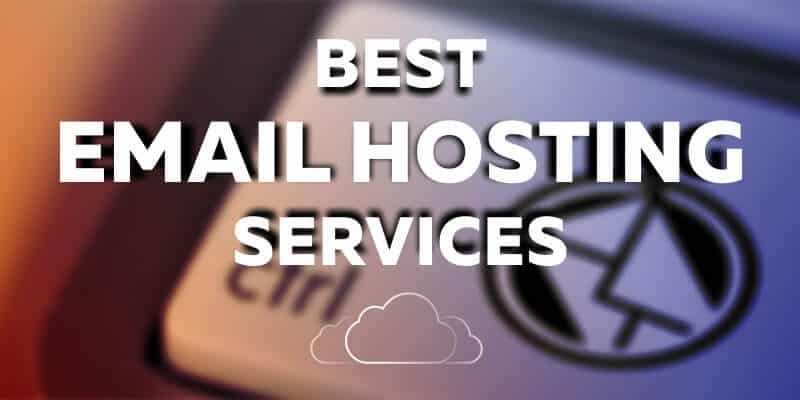 Given that there are hundreds of email hosting services available in the marketplace, choosing the right service provider can be overwhelming. Then there are businesses that manage emails in-house. Is a cloud server hosting solution better than in-house email management? If yes, which factors should you consider while choosing an email hosting service for your business? Let us discuss this in detail. If you choose to manage emails on your own server i.e. in-house, you would require costly hardware, software license and space to install the servers. You would also need a person with an IT degree to handle the servers as needed. There would be limited storage capacity and limited network capacity. Besides, there would be other challenges such as inadequate security and insufficient back-up for your data. In contrast, in cloud server hosting, you don’t need to purchase hardware or set up software. It is easy to set up the email and get started. Since there is no in-house server, challenges related to an in-house server are done away with. The host provides built-in backups to minimize the possibility of lost data or down time. This allows you to focus on your core skills while the service provider takes care of the email aspect. A cloud server hosting solution is, therefore, better than in-house email management. Control and Ease of Use: A good email hosting service provides a near complete control of your email environment. It also provides assistance as and when needed. Always opt for a host that guarantees 24/7 customer support through multiple channels such as live chat, email and phone call. Also make sure the host provides easy-to-use interfaces so that you can complete all your tasks on time and that too with minimum guidance. Security: Keeping email content secure is a chief concern for all businesses, large or small. Secure emails not only keep the content secure but also ward off any potential hacker. You should always look for email hosting services that provide advance tools to secure information. Tools such as anti-malware, anti-spam filtering and data loss prevention capabilities should always be there. The email hosting service should have a team of experts monitoring your server and the support should be available 24*7. There should be an effective disaster recovery plan in place to combat any malicious attempt. Besides, the email service provider should have the required security certifications and should comply with all rules and regulations. Always check the track record of the service provider. Compatibility and Flexibility: Always opt for email services that that can be synced with commonly used web-based applications such as Microsoft Outlook. The email service should also work on all mobile devices irrespective of the operating system the device uses. You should be able to access you email, calendar and contacts on all major web browsers and across all devices from whichever location you want to. The email service you are opting for should always offer flexibility in terms of features you wish to include in the service and features you do not want at all. If you are a small business owner or have just started up, chances are you intend to start with a basic plan and move to an advance plan later. Choose a service which provides you this kind of flexibility, a plan with multiple service levels. Availability: Since an email is the primary mode of communication for any business, it is imperative that the email server is up and running most of the time and downtime is minimum. Choose an email service provider that guarantees maximum uptime i.e. at least 99% uptime. Always choose a service that keeps you connected. You have to ensure that you can access your emails on all mobile devices irrespective of the OS they operate on. It is good to have a service where important emails can be easily moved to archive. Make sure your email service provider provides sufficient storage for archiving mails. The host should also guarantee access to all the archived mails and protect data through continuous backup and disaster recovery. If possible, ask your service provider to advise you on best practices for the development of an email retention policy. In today’s world where most of the businesses prefer email communication, choosing the right email hosting service can go a long way in optimizing the operations of your business.